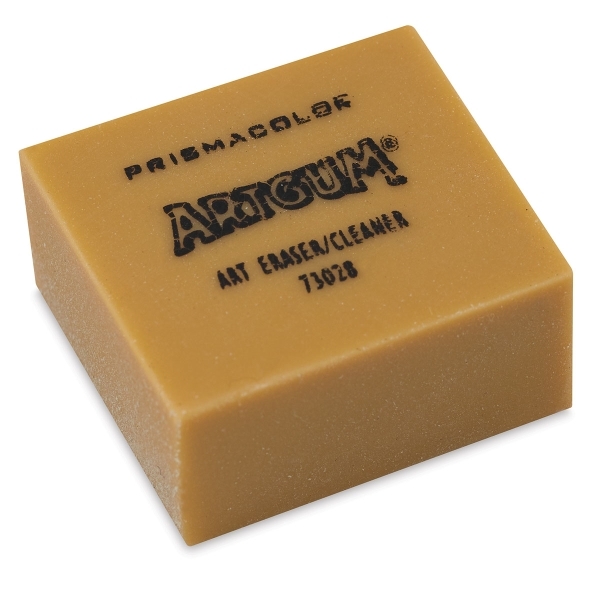 The Prismacolor Artgum Eraser is dual-purposed, acting as both a non-abrasive eraser and dry cleaner. 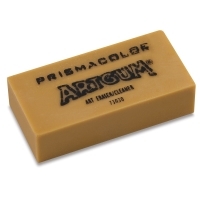 Its block-shape will whittle away, leaving a fine powder after erasing that dry cleans the surface by picking up graphite and dirt. Artgum Eraser, 1" × 1" × 1/2"